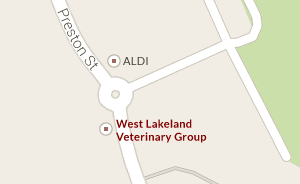 West Lakeland Veterinary Group’s team of vets are committed to providing a professional and friendly service to their farm clients. We provide a reliable 24 hours a day service with experienced vets visiting local farms to examine and treat sick animals. We are also able to offer proactive advice and services on the health issues of your herd or flock in order to improve their productivity and keep them healthy. We aim to be competitive in our pricing structure for fees and medicines. Every since Jim Bolton started the practice in the 1940’s, visiting farms on his push bike, we have endeavoured to continue to develop and improve the veterinary service to the local farming community.